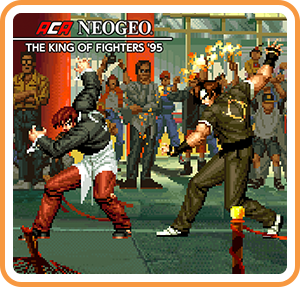 The King of Fighters '95 is a 1995 fighting game produced by SNK for the Neo Geo arcade and home console. It is the sequel to The King of Fighters '94 and the second game in The King of Fighters series. It is also the first game in the series to be ported to other home consoles besides the Neo Geo AES and Neo-Geo CD, with versions released for the PlayStation, Sega Saturn and Game Boy. It was also rereleased in The King of Fighters Collection: The Orochi Saga in 2008 for the PlayStation 2, PlayStation Portable and Wii. Where can I buy ACA NEOGEO THE KING OF FIGHTERS '95 physical/digital?